PPC (Pay-Per-Click) advertising is a fast and powerful means of reaching potential and qualified leads. There are many voices all over the web today offering up a variety of opinions on virtually every subject. Developing a strong and qualified audience demands an effective strategy. TMS's diligence in PPC campaign management strategies targets appropriate markets at minimal costs contributing to a higher ROI. 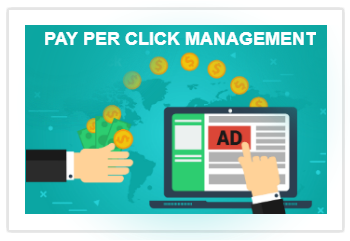 PPC is a form of digital advertising where advertisers pay for ads only when a user clicks on the ad rather than paying a set fee for advertising or paying per advert views. If you’ve ever noticed a sponsored ad or post while searching on Google, then you’ve seen a PPC ad campaign. We talk a lot about how massive the Internet is with sites like Amazon and Facebook boasting millions and billions of accounts respectively, but as far as monetization of ad space goes, online advertising is actually based on the smallest of transactions. Advertisers are trying to figure out how to get an individual to act on their interest in a product. Paying per view, although still a viable strategy for some, didn’t always make financial sense because it was difficult for businesses to see the immediate benefits and to quantify the results. PPC became more popular as it yields more control over how much to spend while also providing measurable data. Google accounts for 77% of total search engine traffic on the Internet, accounting for over 4 billion searches made per day. Imagine what just a portion of that traffic could do for your promotional efforts. Add in the number of users who don't click on your ads directly but yet are still visually exposed to them, and the promotional possibilities become endless. 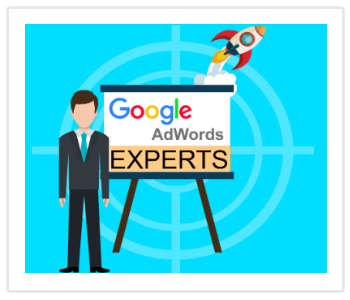 Google Adwords is Google’s online PPC marketing platform allowing advertisers the opportunity to increase brand awareness while attracting new and repeat visitors to their websites directly. Regardless of your product or service, when utilizing Google Adwords, it is essential to design a PPC campaign strategy based on thorough research and knowledge of the trends. 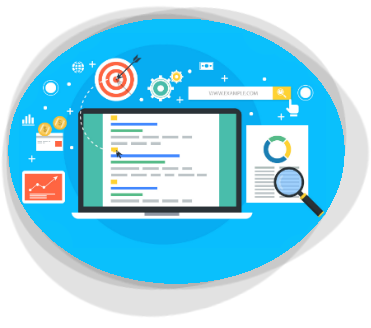 With the years of experience in PPC campaign management, Top Marketing Strategies proudly employs experts that know how to incorporate thorough research with industry trends. Comprehensive research into topics and keyword phrases are imperative for each campaign so that returns are maximized. Bing is the formal name of Microsoft’s search engine. Although Bing doesn’t share Google’s 77% of search engine traffic market share, it does have a substantial audience with daily searches averaging over 873 million in 2017. 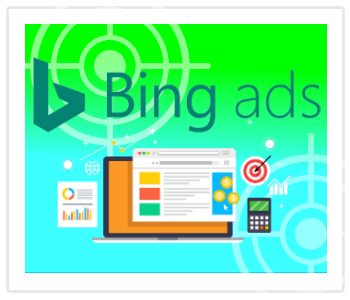 Bing Ads offer promoters a PPC alternative to Google Adwords. Thanks to the relatively smaller size of the search engine, clicks are a bit cheaper for businesses who are operating on a smaller budget. This makes it very popular with solo entrepreneurs in the digital marketing space. A lot of businesses like to advertise on both Google Adwords and Bing Ads for the additional marketing reach, but the sheer size of Bing Ads makes it a platform worth exploring. PPC campaigns are undoubtedly effective, but it’s not always easy or practical for busy entrepreneurs to spend hours researching the best keywords, figuring out daily budgets, and then managing ad performance before doing it all over again. You have a business to run and clients who will insist on having your full and undivided attention. At TMS, our team has extensive knowledge, skill, and experience in running and managing successful PPC campaigns for clients. Our results practically speak for themselves. Let's not forget about the Social Media Marketing platform and yes, TMS provides Social Media marketing campaign management as well. There are a lot of people who would argue that social media officially took over the Internet a long time ago. In 2017, Twitter boasted 328 million active monthly users in the first quarter. Meanwhile, Facebook claimed 2.07 billion monthly active users for the third quarter of 2017. We won’t even mention fast-growing apps and sites like Instagram and Snapchat. If the idea behind marketing is to find consumers and introduce them to your product, you can be sure to find buyers on social media.